We, the descendants of Francis and Elizabeth Cottrill Vernon can be proud of our glorious heritage, a heritage born out of much suffering and great sacrifice. These courageous souls, our pioneer ancestors, who left homes and loved ones in England to explore,conquer and subdue a new unproven land of America far across the ocean were pioneers not only on the physical frontiers of civilization but on the frontiers of the spirit as well. These Mormon immigrants possessed high ideals plus the faith and determination to achieve them. We today are reaping the benefits of their tireless efforts and many sacrifices to build homes and a posterity in this goodly land of America. Let us honor them that our days might be more worthwhile upon this promised land. Perhaps the proper way to show our appreciation for the many good things our progenitors did for us, is to pattern our lives after theirs. 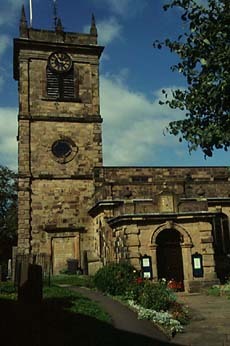 Francis Vernon married Elizabeth Cottrill Feb 8, 1848 in Chapel-en-le-Firth. Elizabeth was born Sept 22 1827 in Doveholes, Derbyshire England to James Cottrill and Martha Hill. At the time of their marriage, Francis was 14 years older than Elizabeth and their marriage record says bachelor Francis Vernon married spinster Elizabeth Cottrill. [He was 34 and she was 20 years old in 1848.] He was a stone mason by trade and constructed a home made of stone for his wife and family while they were living in England and enclosed the grounds around his home with a stone wall. Francis O. Vernon, his grandson and son of Francis Jr. went to England on an LDS mission many years later. There Francis O. found the remains of his grandfather's rock house and part of the stone wall which were still intact. The rock home which Francis had constructed in Rockport Utah was planned similar to the stone home he had built earlier in England. Francis besides being a stone mason was also a farmer and an artist making violins and other musical instruments. Little is known of the first twenty years of Frances and Elizabeth's married life which was spent in England. Four years following their marriage, Elizabeth at age 24 was baptized Jan 1851 and confirmed into a strange new religion-the Church of Jesus Christ of Latter-day Saints by Elder H. Pickop. She was baptized at the same time as her mother Martha Cottrill and her sister Ann. Elizabeth brought the teachings of this new religion into her home; however, her husband Francis did not join the LDS church until 16 years later when he was age 55. As their children were born, they too felt the influence of the gospel teachings and all of them were baptized with the exception of their oldest daughter Ann. "Business of great importance was considered at October General Conference of the church in 1849. It was decided that the church should establish a Perpetual Emigration Fund Company, for the gathering of the poor from the nations of the earth, The company was duly incorporated and committees were appointed for the purpose of gathering means for this fund which was used in bringing great numbers of Latter-day Saints to the valleys of the mountains. It was intended that those who were aided by this fund should pay back into it the means advanced for their transportation to the west, that others might be helped also to emigrate. In this way, it would be a perpetual and a self sustaining fund. Five thousand dollars was the sum of the original contributions and by its aid as many as five hundred wagons were furnished some seasons to help the saints across the plains." In 1868, the Church make a special effort to assist the Saints from Great Britain to emigrate to Zion by means of the Perpetual Emigration Fund. Special attention was paid to those Saints who had proven themselves faithful members of the Church for a long period and considerable sums of money were sent to Great Britain to assist such Saints to reach the frontiers. In the same movement, ten companies ox and mule teams or trains were sent from headquarters of the church in SLC to the terminus of the Union Pacific Railroad to bring the poor to the Salt Lake valley. On the 26th of June, the "Emerald Isle" sailed into the city of Queenstown to take water on board as a certain machine on the vessel used to distill sea water for culinary purposes was out of commission and could not speedily be repaired. On the 29th, the ship left Queenstown, but the voyage after that was anything but pleasant. The emigrants received very rough and harsh treatments both by the officers and the crew and only by the strong protest of Elder Hans Jensen Hals on their behalf, did they succeed in getting a part of their rights according to the contract made. On one occasion, when one of the ship's mates attacked a sister by the name of Sanders. Brother Jensen took a hold of the mate and pulled him away, while sharply reproving him for his misconduct. Soon a lot of sailors came up ready to fight, but the incident ended when the offender got a severe reprimand from the Captain when Brother Jensen reminded him of the promises made before sailing. No other company of emigrating Saints is known to have met with such bad treatment on board any ship crossing the Atlantic Ocean. Fortunately this was the last company of Scandinavian and English Saints which crossed the Atlantic Ocean in a sailing vessel. From that time on only steamers were employed in the transportation the Saints. It as not only the rough treatments which the emigrants received from the ship's crew that made the voyage so unpleasant, but the water taken on board at Queenstown soon became stagnant and unfit to use. It caused much sickness among the passengers and no less that 37 deaths occurred on this voyage. Many of these however were caused by Measles among the children but the stagnant water which all the passengers had to use only added to the deaths. When they decided to emigrate, Francis and Elizabeth's two oldest daughters, Ann (19 years old) and Martha (17 years old), were almost young women at this time and desired to remain in England. So Francis and Elizabeth bade them farewell and with their five other children, Mary (14), Sarah Jane (11), Francis (7), James (6) and Joseph (4), left from Liverpool, England on June 20, 1868 on the packet ship Emerald Isle. A baby Hannah (child #8) had been born in 1865 and died in 1866 before they left England. They were on the water eight weeks or approximately 60 days because the vessel was old and slow and very crowded. It was a very rough and hard voyage. There was a great deal of sickness and 37 passengers were buried at sea. The dead were immediately wrapped in a sheet, weighted and slid from a plank into the sea. Sharks followed the vessel all the way and could be seen plainly when the sun was shining. George Beard (a young man about 13 years old on the vessel who later settled in Coalville) told how he watched the sharks eat his mother's body. When the ocean was rough, the ship would rock and everything that was loose would be thrown about. 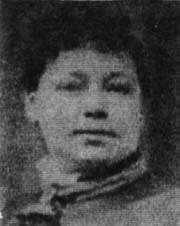 Elizabeth Cottrell Vernon was 41 years old, a tiny woman and expecting a child. She became so ill that preparations were made to bury her, but she rallied and finished the voyage. She was ill all the way but her faith sustained her to complete the journey. The Emerald Isle arrived at the entrance to New York harbor. They were received by the managing conductor at the U.S. Port of Entry on Aug 11,1868. (The Emerald Isle stayed in New York and never returned to England.The Vernons were the last of the LDS emigrants to come by sailing ships. )Thirty of the sick passengers were taken to the shore of the Staten Islands. The following day (Aug 12th) eight other sick people were landed and held in quarantine for 3 days. The rest of the emigrants were landed at Castle Garden on Aug 14th. (See photo on left of Castle Garden a receiving station for new immigrants located on the SW tip of Manhattan Island and used from 1855-1890 before Ellis Island was used. On that same day, a steamer conveyed the emigrants a few miles up the Hudson River where they found shelter in a warehouse for a couple of days while their baggage was being weighed. While staying there, a boy belonging to the company died. On Aug 17th the journey resumed by railroad in open boxcars from New York via Niagara, Detroit, Chicago to Council Bluffs, Nebraska where they arrived on the 21st. The following day, Aug 22, they were taken across the Missouri River by a steamboat and then traveled by Union Pacific railroad to Benton City (near Rawlins, Wyoming)-the end of the line. They were now 700 miles from Omaha, Nebraska and 300 miles from Salt Lake City, Utah. 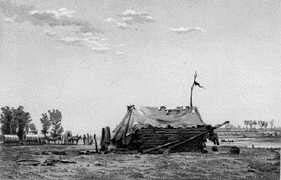 Here the Church ox teams meet the emigrants and took them to their camp on the Platte River, about six miles from Benton. They remained in there until Aug 31st. Then they were organized into companies, under the direction of the outfitting agents, and equipped for the journey across the plains. They passed a thousand of men working on the railroad grade near Echo canyon trying to complete the transcontinental railroad line which would be finished one year later and end the need for ox team and wagon travel for Mormon converts wishing to emigrate to Utah.The Vernons were among some of the last pioneers to come to Utah by wagons. At about this same time, Mary Vernon (about 15 years old and the oldest daughter to emigrate) married John Beard on January 11, 1869 in the Endowment House in SLC. He had also been a passenger on the "Emerald Isle". Could there have been a romance aboard ship? Love seemed to flourish under the most adverse conditions. Mary had blue eyes and black hair and was 5' 2 1/2" tall and slim. She was baptized by James Smith 28 Aug 1868 and confirmed by Francis M. Brown the same day. (Editors note: This baptism could have been on their way to SLC by ox teams as they arrived in SLC on Sep 25 1868.) Mary and John made their first home in Grass Creek which was several miles from Coalville and had four children John Francis, Ellen Elizabeth, George William and James all born in Coalville. After a year in Coalville, the Francis Vernon family moved to Rockport where Francis homesteaded some bottom land that was a rock quarry. He cultivated it the best he could. He also built a small temporary one room log home on his homestead until he could build a house but before his rock house was finished he had to build another room on the lob cabin to house his family. Then hearing of the wonders of Southern Utah and being called by the church to go South, Francis secured oxen and a wagon and went to Sevier or Richfield County with his family. After a long hard journey to get there,they found such barren and desolate hot country that they turned around and returned to Rockport. Arriving home in the fall and having no hay for winter, Francis and the boys and their cow oxen went up in Crandall's Canyons where the wild grass was good in the swales (a low lying and often wet stretch of land) and cut it with a scythe and hauled it down to their home. 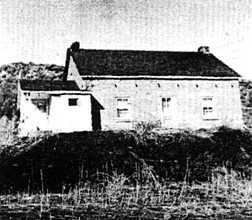 The Vernon farm consisted of about 40-50 acres on the west side of the Weber River. As the time went by, they acquired more land, cattle and horses and built barns and sheds. The one room log room wasn't a very satisfactory home for a stone mason and his family of seven children, so Francis soon cut sandstone and built two good rooms near the old fort and soon he started a two story house on the side hill on his farm at the foot of a ledge. It consisted of four rooms with a long hall running through the center and two rooms on either side, a large kitchen and cellar at the back. All the walls and partitions were of hewn stone, 12-14 inches thick that he cut by himself. There was also a large stairway and attic. Francis finished three rooms and they moved in about 1879 or 1880. When Francis died many years later on Oct 16, 1891, the rooms upstairs and the attic were unfinished. The unfinished kitchen and stairway were torn away but the cellar and home were still in use. His son or grandson later put a frame room on it. The government destroyed the house years later by putting dynamite in it when getting ready to build the Rockport reservoir. There was a stone fence around the house and a stone well. This home was very cool in summer and warm in winter and stood as a monument to the work of a very good stone mason. With the rock from his quarry, Francis built his neighbor's home and soon other town people employed him to build their homes of rock. His house was still standing in 1947. He built many of the first homes in Rockport and his wife cared for the sick. They both worked in many church activities. also loved to hunt, and one time their father Francis had captured an elk and hooked this elk with a horse to a bob sleigh to go for rides. When that team went over the fences and headed toward the river, it frightened their Mother Elizabeth but it was great sport for the boys. At an early age, the Vernon boys started to haul wood secured from nearby canyons to SLC and coal to Park City. They would camp along the road when night overtook them, unless it was hot weather and then they would travel all night. They also hauled coal from Grass Creek and Coalville to Park City for the mines. James lived for a time with his sister Mary and her husband John Beard at Grass Creek. James and John would get up at 2 am, yoke the oxen and travel to Grass Creek mine for coal. Then they hauled the coal the short distance back down the canyon to where it was loaded on railroad boxcars. Another daughter (Sarah) Jane, child # 4-no photo available at age 18 married Thomas Birch (See his photo on left.) June 21, 1875 and they located in Willard Utah. The following Spring, word came that Sarah was very ill. Elizabeth Cottrell Vernon, Jane's mother made the long journey to Willard to be with her. A baby girl was born to Jane on April 4, 1876 and was given the name of Mary Elizabeth. She was blessed May 7, 1876 the same day on which her mother passed away. Jane was buried in Willard, Utah. Elizabeth then returned home bringing Jane's tiny baby with her. The family loved and cared for this baby, their grand daughter.She became very dear to them but would die shortly. Oct 1876 along with three of their children. Mary later married John Johnston-see his photo on right, on 28 Nov 1877 in SLC. They had 11 children: Margret Ann, James who lived about one month, Martha and Anice Eliza-twin girls who died at birth, Ebenezer, Sarah Jane, Edgar, Etta Elvira, Bessie who lived about 14 days, Joseph Spencer, Mary Gladys who lived about 3 years. The children were all born near Coalville except Mary Gladys who was born in Marion. The family moved to Boulderville, located in Oakley. While they were building their home in Boulderville, they lived in a tent. This was in May of 1898. When the home was completed it had three rooms and a closet or pantry as it was called in those days, on the ground floor and two rooms upstairs. There was a wire fence around the yard and some cottonwood trees. The land had to be prepared for farming. The sagebrush was pulled and rocks picked up. All the children who were big enough to work at this helped. Mary and John spent the remainder of their lives on this farm until their deaths. The family of Francis and Elizabeth also contracted Smallpox at the time of John Beard's death and were awfully sick. Everyone was so afraid of the disease that the family was unable to get help. When Jane's little child died as a result of the disease 7 Nov 1876, Francis and the boys, although still very ill fashioned a little casket and dug a grave on the hillside behind the house where they laid her to rest. A tight picket fence was built around the grave to keep the cattle from disturbing it. The children, grandchildren and great grandchildren carried flowers to that lone little grave for Mary Elizabeth Birch for many years.When construction of the Rockport reservoir began, the remains of the body and the casket were moved to the Vernon plot above the reservoir by the government. But through many years, the wooden marker on her grave had been weather beaten and they couldn't decipher the name or dates so she was buried as "baby Birch". 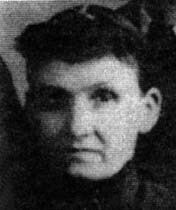 About 1877 Martha, the next to the oldest daughter who had remained in England when the family immigrated, came to Utah with her husband George Robinson. They brought their three children with them, Mary Elizabeth age seven, Albert, three years old, and Thomas, one year. Edward, their second child had died when three months old and was buried in England. They made their home with Francis and Elizabeth in Rockport until George secured employment in Park City (probably in the mines?). 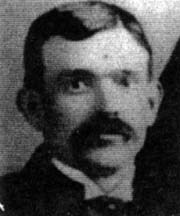 Their next child, a son, Francis, was born in Park City in 1878. Then they moved back to Rockport where two more children were born: George in 1880 and Jane in 1882. They never joined the LDS church and they later moved to Canada where George's father was living and employed by a railroad company there. George and Martha decided to go to Canada to make their home. They first settled in Montreal, Quebec, where Arthur was born in 1885; Minnie in 1887 and Elsie in 1889. They moved to Otterburne, Manitoba, Canada where one child was stillborn. John, their last child, was born in Stonewall, Manitoba in the year 1894. This child lived just one day. About 1895, George and Martha and their two youngest children, Arthur and Minnie, came from Canada to visit with Martha's mother and family. After their visit to Utah, they returned to their home in Canada. She died there in 1910. Elizabeth kept in touch with her oldest daughter, Ann Vernon Davis and her little grand daughter Mary who were still living in England. Ann spent much time telling Mary of her dear parents in Utah and when Ann became ill she told Mary she must go to Utah to her grandparents. Elizabeth knew of Ann's illness and her desire to have Mary come to Utah. She had a little tea pot in which she saved every penny she could for Mary's passage. However, when Ann passed away on the 27 July, 1885, the little tea pot did not contain enough funds for Mary's voyage so Francis and Elizabeth decided that two of the best cows would be sold to complete the funds necessary to bring Mary to them. Their grand daughter Mary Davis at about age 15, undaunted by the stories of Mormon horns, and reported bad treatment of women told her by neighbors and friends in England, came to Utah and her grandparents. She became known to the family as "Cousin Polly". She never married but lived with James-her uncle and Elizabeth her grandmother. 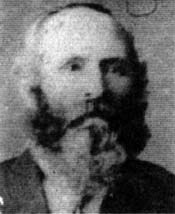 Part II Francis and Elizabeth Cottrill Vernon story-(continued)-includes photos and histories of their children: James Vernon, Francis Vernon Jr, Joseph Vernon, Ellen Vernon and Anice Vernon also an Appendix.